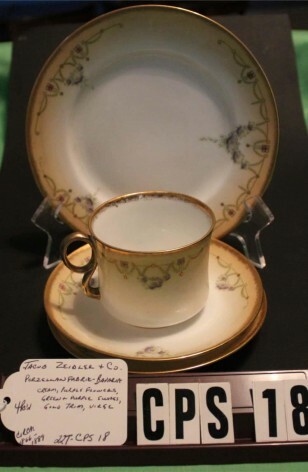 Antique - 4-Piece Tea Set by Jacob Zeidler & Co. (Porzellan Fabrik-Bavaria) in the Gold Blush Pattern, Circa 1866-1889. 2 - Saucers - 5 1/2"
1 - Tea Plate - 7" - Bread 7 Butter, Tea and/or Dessert Plate..
© 2019 McArthur Park Antiques . All Rights Reserved.